Choosing the right foundation/concealer is very important because foundation is an essential aspect of your makeup as makeup routine depends upon the way that how to apply foundation and the most important thing to choose the right brand of foundation according to your skin tone and type. I always like to wear a makeup in a way that it looks more natural and not overdone that's why I prefer liquid foundation to concealers/face powders. I have very dry skin and face powders make it to look more chalky and powdery, so sometime I use foundation stick, but it also feels heavy and cakey on my face as it's a summer here and it's almost impossible for me to wear something very heavy so I was thinking about to switch to liquid foundation because it works good for flaky skin and also contains a moisturizing ingredients to moisturize the skin. I was a bit confused about what brand to choose, but wanted something to look very natural and light with good coverage. 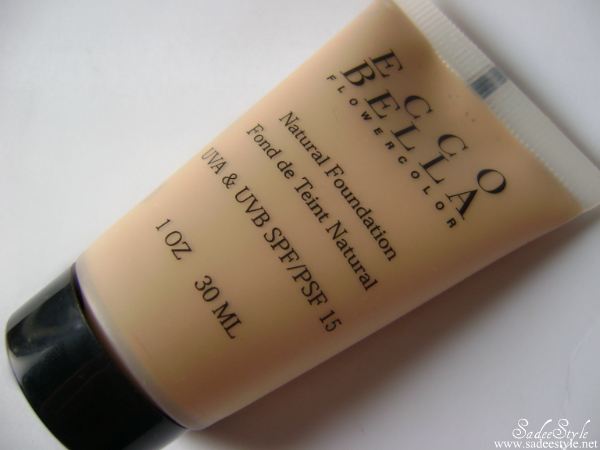 I was debating between some big brand or drug store brands, but ended up choosing ecco bella Flower Color Natural Liquid Foundation SPF 15. Since 1992, Ecco Bella has been known as a pioneer in the natural beauty field. 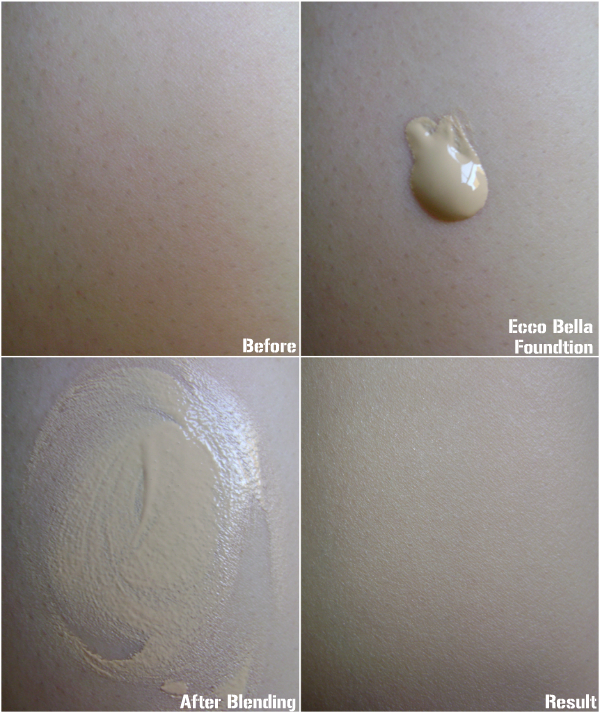 Ecco Bella was started to provide cruelty-free organic cosmetics and natural skin care products. The effort grew to include products derived from organics and vitamins. Flower Color Natural Liquid Foundation SPF by Eccobella comes in 30Ml squeeze tube and is available in six different colors in a bisque, Ivory Porcelain, Light Beige, Natural, Linen, Tan and Mocha and you can choose your own shade according to your skin tone, the one I picked up is a lightest color among of them and its called Bisque and it amazingly matched with my skin tone. Blend like a dream and absorb into the skin quickly. Go smooth and feels light on. The color selection is great. It covers well yet doesn't look heavy or cakey. Bit expensive as compared to other drugstore brands. the after swatches really do look amazing!! Check out the giveaway I am hosting on my blog! Hmmm result is great . Nice review.